Have you ever considered that the work, resources and manpower you put toward acquiring new customers could be better spent on keeping your current customers through customer retention? I’m talking about all the effort required to get just one more customer while there are several existing customers that are about to leave but would require only a small bit of help to stay. Now consider this: if you spent some of that energy and resources allocated to customer acquisition and marketing on keeping existing customers, you would increase your bottom line with much less effort. You would turn some of the monthly losses into revenue and actually be able to reach completely new revenue high scores. The idea of customer retention is what will get you to completely new revenue levels. It’s basically the ability of your business to keep current customers. Each month, you will naturally lose some of your client base. They will leave your business for different reasons. 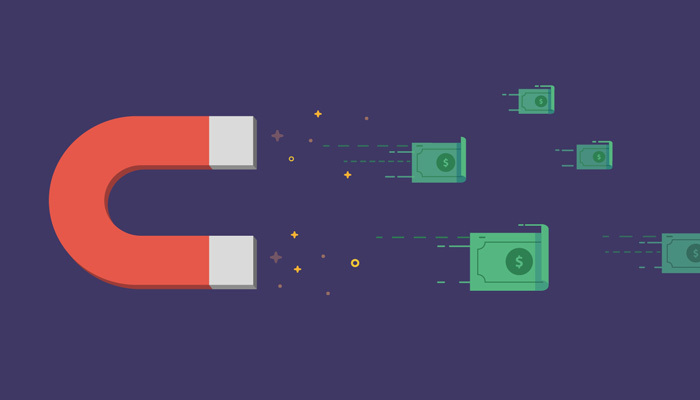 Customer retention helps you decrease this churn rate, i.e. the rate at which you are losing customers. So, instead of getting more customers via customer acquisition, you will save some of your future revenue through customer retention. It’s thinking about long term goals (customer retention) in favor of short term gains (customer acquisition). Customer retention helps you make sure that your existing customers will retain that status for years to come. This means that you’re not only thinking about what revenue they are brining to the table at the moment but also about all the future payments they will make. It’s important to mention here the concept of customer lifetime value (or CLV for short). It’s the average number of revenue a single customer brings. For example, let’s say that an average customer buys your products or services for 12 months, at around $40 a month. This means that over the life of that customer, they will leave $480 in payments for your business. Losing a customer somewhere along the line cuts the number of expected profits you can make from that customer. It may not seem like a big deal since you’ve already made some money. However, you also should be aware of the associated costs. For example, if your customer acquisition costs (CAC for short), are in the range of $50-$60 per customer, and the customer leaves after a couple of months, you’re not only losing future revenue but you’re also wasting the resources spent on bringing the customer on board. And if, in this example, a customer leaves after one month, you’re actually losing revenue! Finally, it’s usually much more expensive to acquire new customers than to keep the existing ones. You could be just paying pennies on the dollar to keep a customer and it’s often much easier too. Getting your customer retention even a bit higher will get you much better results than spending hundreds of dollars on running ads or marketing campaigns. Here’s a couple of customer retention methods you could try out to keep more customers. One of the ways you can keep more customers is to make sure they are using your products or services. Product stickiness is the degree to which customers remember/need to use your product or service. The more they do, the more sticky it is. Product stickiness is the lifeblood of SaaS and app-making companies. However, it also can be applied to services or products. It would be hard to expect anyone to keep paying you if they don’t use your products. So your task is to either make your product indispensable or really hard to forget. For example, a mobile application can try to coax you into using it by sending you push notifications. Have you ever had a hard time to work because an app like Instagram was constantly letting you know that somebody did something fun and posted a photo? That’s product stickiness. To increase the stickiness of LiveChat, we encourage our customers to install our desktop apps. This way, LiveChat will start as soon as they turn on their computer and they will be ready to receive chats from customers immediately. Once you get your customers hooked on your products, there’s still lots to do. Even if they are using the products, they may still have some problems while doing it. If these problems persist and are big enough, they can lead to customers dropping your business. You need to locate these pesky customer pain points and deal with them before a customer starts considering going to the competition. You can do that by performing regular customer health checks via customer surveys and by monitoring the way your customers are using your products/services. These will allow you to spot any potential problems early on, before they become unbearable for customers. Customers rarely just leave. You need to look for the right signals. They will give you plenty of chances to resolve their problems before they leave if you pay attention. While on the topic of surveys, there’s one popular type of survey that will allow you to directly get in touch with customers who are about to drop your business. I’m talking about Net Promoter Score here. 1) Would you recommend our product/service to your friends and colleagues? 2) Could you provide a reason why? Promoters – The most desirable outcome. These are the customers who gave you product/service a 9 or a 10. They are your brand’s ambassadors and it’s worth learning what made their experience great so that you can replicate that experience with other customers. Passives – Customers who gave you a 7 or an 8. They won’t leave but they also won’t promote your business. When it comes to retention, you don’t have to worry about them but you always should try to convert them into promoters. Detractors – This is the group you should be looking at. Detractors are customers who gave a 0-6 score in the survey, meaning that, sooner or later, they will leave. Once you locate your detractors, you should check what reason they gave for this score (2nd question). This is a gold mine of ideas on what you should do to improve customer retention. Even though you won’t be able to satisfy all demands (“Why should I pay for your product if competitors sell it cheaper?”), it’s still worth keeping an eye on your Net Promoter Score survey results. One of the factors that weigh on your customer’s decision to stay or leave your business are switching costs. Depending on a product/service, these costs may be often prohibitive enough that they will help you keep customers. Even though you can’t inflate them artificially (you can’t make your product harder just so that customers don’t want to sacrifice the time they spent on learning it), you can offer some extra services that add additional value to your product. For example, you can start a loyalty program. If you get your customers on board of your loyalty program, they will stand to lose when they leave your business. This can be a lost discount that the customer accumulated over the years or special points that will be no longer redeemable once the customer leaves. How do you make sure that your loyalty program is a success? Get your customers hooked as early as possible. You should even include the first transaction a customer makes and enroll them in the loyalty program when they set up an account or buy their first product. This way, you will make it their personal matter to accumulate more points right from the start. If they can join the program only with subsequent purchases, a lot of your customers simply won’t care. Even after a customers leaves, you can still benefit from the situation and learn what mistakes you should correct to retain similar customer in the future. They may not be paying you anymore, but they still provide value to your company in the form of business intelligence. Just like in the case of Net Promoter surveys, you need to learn what made the customer leave. A simple email would do, but you can also set up a call if the customer is willing. You should find out why they left, check who else is in a similar situation and fix it as soon as possible. Over-focusing on customer acquisition can leave you in this weird state when you are getting hundreds of new customers each month and still you don’t see any significant bump in your revenue. Specific industries like telecom or the credit card industry have been suffering from high client turnover rates for years now. You often see a ton of offers for new customers switching from the competition but hardly any appreciation for long-term customers who get no special treatment after years of being loyal to a specific company. Instead of following these industries, you can ‘sacrifice’ some of your time and resources on retaining existing customers. And considering that 80 percent of your revenue will come from 20 percent of your existing customers (according to Gartner), you only gain from keeping more customers for longer. Have you been using any customer retention strategies in your company? What are your experiences? Feel free to share and leave a comment!